First off, many thanks to everyone who entered the first round of "Toy Lines! ", our new caption contest! There were some really wonderful entries in Round One - you can see them all by clicking here. 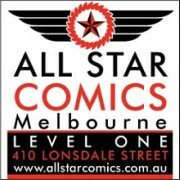 Do have a look as they are well worth it! The task for Round One was to add captions to a photo featuring Black Hand, Mongul and Black Lantern Abin Sur, and our entrants rose the challenge! There were some common threads in some of the Round One entries and a number I think are absolutely brilliant. In the end though, it's my job to choose the winners of each round, with the ultimate winner chosen by the readers of AFB. 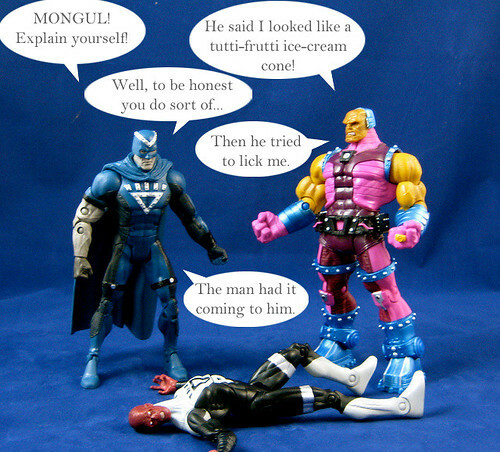 I love this entry not just because it's extremely funny, but because of the levels of humour - the fun comes not just from explaining what's happening in the photo, but also mocking the Green Lantern Corps Series 1 Mongul's colour scheme, which is seriously mock-worthy! 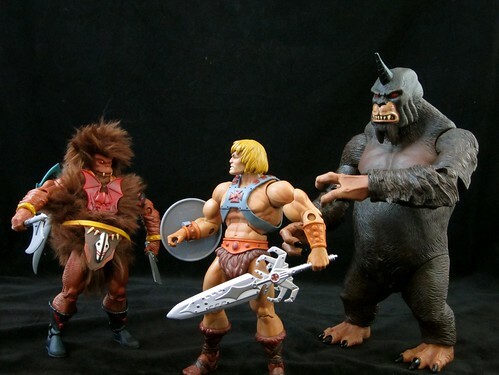 So, bubbashelby's Round One Winner will face off against the winners from the next three rounds in a public vote here on the blog, with the winner receiving our prize, which is a Mattel Masters of the Universe Classics Eternian Palace Guards Two Pack, like the one reviewed here. The prize will be an unopened version still sealed in its white mailer box. Keep up the good work, and I look forward to the next great round! 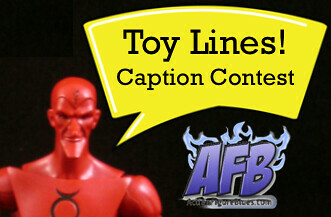 Also, you can of course comment on this post to enter the March AFB Comment of the Month Contest! That's the one I would have chosen too. Congrats Bubba, that is one awesome caption.